Whenever we install Windows on our Desktop or laptop we use bootable disk to install. Windows installation with CD or DVD is an old method. Even our bootable disk get corrupt after few installations. After increasing the usage of Pendrive we use them for data transfer from one device to another just because it is erasable. So that’s why many software are also available for converting USB into windows bootable USB. Installing windows by using usb is best technique. We can erase it whenever we want, its more reliable and faster than disk drives. Today we will explain you how we can use USB pen drive for installing Windows on our devices. Their are many available software which make bootable USB pendrive but sometimes their is problem with file compatibility or even problem with different windows versions. Making windows installation is necessary after some conditions if your device is getting slow and you think that is windows problem but its not be every times. We recently explained some Tips to Make Your PC Run Faster without doing new windows. But if you want to install new windows then follow below given methods. Method 1:- Make Bootable USB Pendrive For Windows Using WinToFlash. Method 2:- Make Windows Bootable Pendrive With MS Software. Unable To Make Bootable Usb. WinToFlash is best tool for making bootable usb just because it support various file types of windows. First of download and install WinToFlash. Then select your windows files source and usb device to make it bootable. Don’t forget to check the box of use diff format files as i have done in below capture. After that simply format and start copying of files into your device. Microsoft officially provide tool for making bootable USB or DVD. First of all you need to download Windows Bootable Tool. 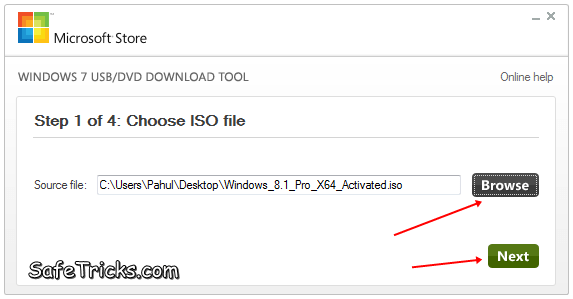 Now you need ISO file of windows setup for making bootable USB pendrive. If your have windows file with ISO then its good otherwise search at Google for tools for converting Windows into ISO. After doing all this open Windows USB creator tool and then select the ISO file and click on next button. 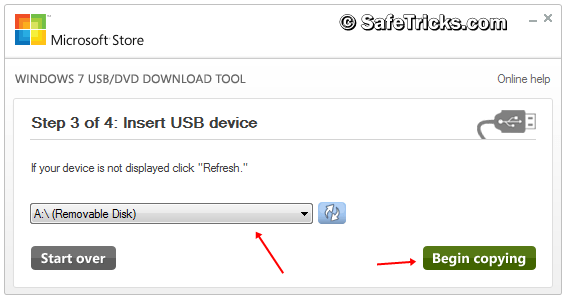 By using this tool you can make bootable USB pendrive or DVD drive for bootable click on the option of USB device. Then further select your usb drive from the list and click on Begin copying. It take few min to make bootable windows pendrive in case if it not able to complete then follow below given process to make your usb compatible. In some conditions usb drive is shown error while copying bootable files. 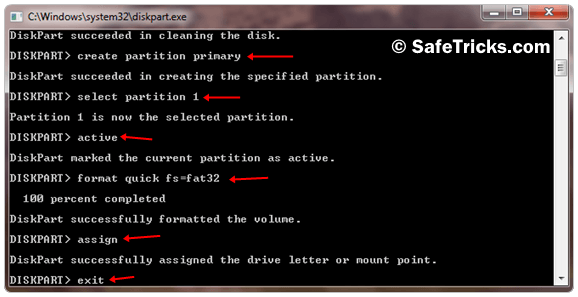 So if you are facing same problem then you have to clean your usb with diskpart commands. First of all go to start menu then search for Run or open by using Windows Key+R. Now black screen will appear type command in same format as given below. 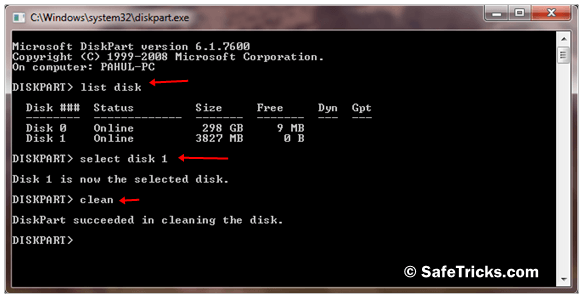 Now you have create a fresh partition of drive simply follow below commands. To make Bootable Usb pendrive you must have usb of minimum space 4GB on my recommendation use 8GB. Windows Files for making bootable device. Make sure that your usb drive is empty always copy all the available data before making bootable. Must Check:- Increase Ram By Using Pendrive. We hope you enjoy this tutorial to make bootable usb pendrive for windows and find it helpful. In case you face any kind of problem while using this must leave your comments.